Problems in commercial real estate are finally catching up to local banks. Veteran real estate attorney Chauncey Swalwell at Stroock & Stroock has managed to stay active during the downturn, handling more than $500 million in loan workouts and restructurings. A look at the local brokers and other dealmakers in commercial real estate still making a go of it despite the down market. Investors have dialed into radio stocks to the benefit of some local operators. Pebble Beach on 6th's virtual game connects golfers with their inner Tiger. BreitBurn Energy Partners L.P. said it will postpone its annual shareholder meeting until sometime next year, due to delays in settling corporate governance-related litigation. Walt Disney Co. said that it plans to buy Marvel Entertainment Inc. for $4 billion in a deal that would give the Mouse House control over Spider-Man, Iron Man and many other comic book icons. Jeff Weller co-founded Lion with Mory Barak after leaving CB Richard Ellis Group Inc. in Los Angeles, where he served as a vice president. Many real estate moguls with a first act on the level of Fred Sands' would not be inclined to give it another go, especially in the current recession. Perennial college football powerhouse USC has won two national championships and held a top five ranking at the end of the last seven seasons. Landscaper ValleyCrest's water saving systems have buoyed business. Charles Crumpley backs the food trucks in their street fight with restaurants and police. Earlier this month, veteran commercial real estate broker Bob Safai took his first long vacation in 17 years. Unlike some other brokers in town, he actually needed a break. Pssst Wanna Buy the Hollywood Sign? A hotly anticipated venture capital conference coming to Marina del Rey in October might not have come together if not for the Hollywood sign? Los Angeles International Airport isn't known for a diverse and yummy assortment of restaurants and retail shops, but that could be changing soon. Veteran real estate broker Kevin Shannon has spent the better part of three decades in the business, with a focus on investment sales. L.A. officials and many older medical marijuana businesses hope to snuff out pot dispensaries launched by a permit loophole. The swooning shares of an apparel business spurred the founders to take the company private. Row 44's airborne Wi-Fi is set to take off after a recent deal with Southwest Airlines. Mory Barak is among the most active of the younger generation of real estate professionals. A large lease deal has been completed at One California Plaza, a 42-story downtown L.A. high-rise that is up for sale by owners Maguire Properties Inc. and Macquarie Office Trust. The head of American International Group Inc.'s giant aircraft-leasing business in Los Angeles is in talks to buy a piece of the unit amid growing frustration at AIG's delay in selling the company. Chase is expanding its middle-market presence in Los Angeles by hiring away local executives. High-quality preschool gets future employees off on the right track, according to Gary Mangiofico. Since Jeff Friedman co-founded Mesa West Capital in 2004, almost everything has changed for the West L.A. commercial real estate lender from its business model to its competition. Business groups are banding together to battle a state panel's tax proposals. State Insurance Commissioner Steve Poizner announced he will file a lawsuit to block the sale of $1 billion worth of assets of the State Compensation Insurance Fund to help close a mammoth budget deficit. Transactional real estate attorney Steven Lurie has handled $1 billion in deals over the last year. The big number surprised even him. The local M & A; market got a lift from a big deal to buy a Paramount aerospace engine parts maker. The federal government turned to ex-Northrop CEO Kent Kresa to steer GM through bankruptcy. The state inspector general post is pointless without any enforcement powers, writes Carl Olson. An adviser to Richard Riordan during his term as mayor of Los Angeles, Steve Soboroff joined the Playa Vista development team in 2001 after his own unsuccessful run for mayor. A local broker helps merge non-profits struggling in the down economy. Is Angelo Mozilo a Villain or Just Vilified? The former Countrywide Financial chief executive is awaiting verdicts in the courtroom and history. Pillsbury Winthrop has paid to place its laid-off staff at local non-profits. Events of interest of interest of Los Angeles' business community. John Long founded Highridge in 1978 and the company has built a portfolio worth more than $7 billion. Veteran real estate broker Carl Muhlstein has completed several notable leases in the past year. Aecom Technology Corp. said that it acquired privately held Lake Forest engineering firm LAN Engineering Corp. of California. The Los Angeles Daily News, a Woodland Hills-based newspaper focused on the San Fernando Valley, has named Jack Klunder publisher. Freedom Communications is expected to file for bankruptcy this week under a plan that will hand the owner of the Orange County Register and 30 other newspapers around the country to its lenders. Billionaires Robert Maguire and David Murdock are in a dogfight over a Van Nuys aviation business. State Insurance Commissioner Steve Poizner said he will file a lawsuit to block the sale of $1 billion worth of assets of State Compensation Insurance Fund designed to help close a mammoth budget deficit. Northrop Grumman Corp. has reached an agreement with the U.S. Environmental Protection Agency to spend $21 million to build a groundwater cleanup system to cleanse a major contamination site in the San Gabriel Valley. A Los Angeles judge has ruled that Guess Inc. co-founder Georges Marciano must pay $55 million in damages for trying to ruin the reputation of an accountant hired to investigate five former employees who later successfully sued him. California's largest auto insurer, Farmers Insurance Group, said it planned to slash jobs at the offices of its newly acquired 21st Century Insurance unit in Woodland Hills. 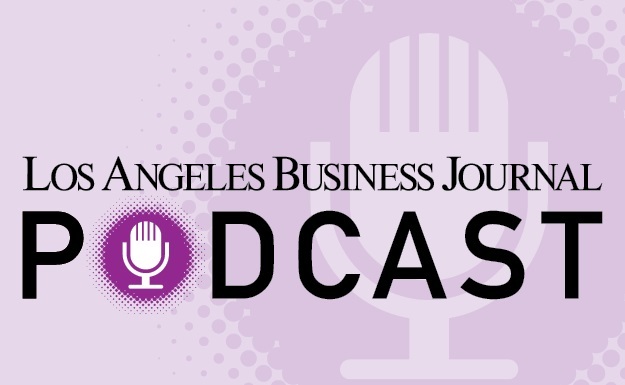 The Los Angeles Business Journal's index of the 200 largest local public companies eked out a slight gain for the week ended Aug. 28, boosted by a series of positive economic indicators, including a rise in consumer spending. Imaging devices maker OSI Systems Inc. said that its fiscal fourth quarter earnings fell 23 percent, largely due to weaker sales at its health care segment. Northrop Grumman Corp. has received multi-year contracts from the U.S. Air Force and U.S. Navy totaling nearly $12 billion. A&E Television Networks will take over management of Lifetime Entertainment Services in a merger announced by Walt Disney Co., Hearst Corp. and NBC Universal. As the once-hot bottled water business loses steam, drink makers are starting to pour money into marketing campaigns for what they hope will be the next sector to come to a boil: coconut water. Imaging devices maker OSI Systems Inc. said Thursday that its fiscal fourth quarter earnings fell 23 percent, largely due to weaker sales at its health care segment. More than 20 months after the announcement that she was teaming up with Discovery Communications to create a new cable channel, not much has happened -- except for a revolving door of executives. A group of Tribune Co. bondholders have sought approval from a U.S. judge to investigate billionaire Sam Zell's $8.3 billion buyout of the Los Angeles Times' parent, which they say drove it to bankruptcy. A & E; Television Networks will take over management of Lifetime Entertainment Services in a merger announced by Walt Disney Co., Hearst Corp. and NBC Universal. Southwest Water Co. said Wednesday that despite higher operating revenues, the water utility saw a wider net loss in its first quarter due to expenses related to an earlier restatement of earnings. Apparel maker Guess Inc. said its second quarter net income rose 11 percent on higher European revenue and lower expenses, beating Wall Street expectations. Southwest Water Co. said that despite higher operating revenues, the water utility saw a wider net loss in its first quarter due to expenses related to an earlier restatement of earnings. CB Richard Ellis Group Inc. said that its lenders had agreed to modify $994 million in debt by extending maturity dates, swapping rounds of debt and taking other measures. WPT Enterprises Inc. said that a British company will buy its assets, including the World Poker Tour franchise, for more than $12 million in cash plus a share of future revenue. International Rectifier Corp. said Tuesday that it swung to a profit in its fiscal fourth quarter, helped by proceeds from the sale of one of its business units. Employers Direct Insurance Company, which earlier announced that it was backing out of the California workers’ compensation insurance business, said Tuesday that it was selling the renewal rights of certain existing policies to another company. Employers Direct Insurance Company, which earlier announced that it was backing out of the California workers' compensation insurance business, said it was selling the renewal rights of certain existing policies to another company. Amgen Inc.'s anemia drug Aranesp neither helped nor hurt the heart health of patients with chronic kidney disease, a company-sponsored trial found. International Rectifier Corp. said that it swung to a profit in its fiscal fourth quarter, helped by proceeds from the sale of one of its business units. Last-minute cuts in the California budget are threatening programs that have been instrumental in helping entrepreneurs beat back the recession's perils. Countrywide Financial Corp. won a Delaware judge's permission to settle a 2008 lawsuit filed by shareholders over Bank of America Corp.'s $2.5 billion takeover of the Calabasas mortgage lender. HEALTH CARE: Bearing cost of reform plan a hot topic at local meetings. Local business leaders have a lot to say to lawmakers about health reform. EXPANSION: Soliant looks to double its staff with the opening of local plant. After four years of raising capital and developing prototypes, Monrovia-based Soliant Energy is opening its pilot solar-panel manufacturing facility this week. AUTOMOTIVE: Viva closes after $268,000 fine for bikes failing to meet standards. Vernon motorcycle importer Viva Motorsports Inc. shut its doors within weeks of receiving a $268,000 fine from the California Air Resources Board for allegedly selling motorcycles that did not meet standards. STARTUP: High costs of product contribute to fall of Desktop Factory. Desktop Factory Inc. is about to disappear. INVESTMENT: Food giant Dole’s IPO embraced by thawing capital market. Some L.A. companies are among those capitalizing in a more welcoming market for IPOs. BUYOUT OFFER: Board of Nutraceutical spurns bid by ex-Country Life CEO. After selling his family’s vitamin company to Japanese soy sauce giant Kikkoman Corp. two years ago, Ryan Drexler took a break before deciding whether to jump back into the business. MEDIA: KSL to combine direct-response and branding for clients. RADIO: KFWB ditches costly all-news model for conservative programs. KFWB has pulled the plug on some of its staff as the news station prepares to change over to a talk format. Variety, a trade publication for the show business industry, has announced the opening of a German office in Munich. Equity firm PROFILE: Transom puts its money where the music is, such as a mic company and a merchandise business. Equity firm Transom is humming along with investment in music industry businesses. Former slow-growth City Councilman Paul Little now a champion for businesses as Pasadena Chamber of Commerce CEO. Former slow-growth City Councilman Paul Little now pumps up Pasadena business as head of the Chamber of Commerce there. U.S. Immigration Office Expands Borders in L.A. LEASE: Federal agency signs $14.4 million deal for bigger downtown digs. The axiom that business with the federal government is a safe haven during recessions is ringing true this go-around. Charles Crumpley fears union-boosting activity will torpedo business at the Port of Los Angeles. California needs to reform its initiative process to curb single-issue groups’ hold on public policy. Clive Hoffman would like to see California raise the bar before initiatives can get on the ballot. Richard Risemberg touts the health and societal benefits of riding bikes. Zumbox said it has raised $8 million for a national rollout of its system for sending electronic mail to postal addresses later this year. Northrop Grumman Corp. said that its cybersecurity team won a five-year U.S. Army contract potentially worth $430 million to continue providing information and network operations services. Friction among management has helped ground formerly high-flying Internet ad firm Hydra. Investors have been homing in on real estate investment trusts despite the down market. Nestle has unwrapped the term "funterns" for interns handling a candy promotion. Developer THQ had to change its sales tactics to get a World War II title into China. Northrop Grumman Corp. and General Dynamics Corp., the U.S. Navy's two largest shipbuilders, are reviewing their work on Virginia-class nuclear submarines after defects were found on weapons-handling systems of four vessels. Synthetic fuel maker Rentech's stock has shot up despite concerns about profitability. AdScope's Ad Rover vehicle is taking clients' messages to the streets. Southern California Edison signed an agreement with First Solar Inc. to build two photovoltaic solar power projects in the Inland Empire, each with a capacity of 550 megawatts. 99 Cents Only Stores is offering matrimony on the cheap with an in-store wedding event. Monrovia's AeroVironment is charged up about its plan to build fuel stations for electric cars. KSL Media Inc., an Encino-based media buying agency, has reorganized its operations to focus on what Chief Executive Hank Cohen calls "hybrid buying." The company that brought color to the big screen in such classics as "Gone With the Wind" and "The Wizard of Oz." has invested more than $200 million in its production facilities to reinvent itself yet again. Lisa Ramelow has always admired the style of the 1940s. And the 51-year-old restaurateur has long loved kitschy calendars. MySpace is hoping to do what Ticketmaster could not: profit by hooking up with music service iLike. The housing bust has fundamentally changed a street with eight houses in Moreno Valley, four of which have been in foreclosure in the last two years. Motorcar Parts of America Inc., which rebuilds vehicle alternators and starters for cars and light trucks, said that it bought certain assets of a privately held competitor. Capping a wild week for the company's stock, Rentech Inc. shares rose nearly 17 percent Friday after the company announced it has sold its synthetic diesel fuel for use in a special military vehicle. Shareholders have approved a plan by the founders of Tarrant Apparel Group to take the company private in a deal valued at $15.2 million. In a sign that the recession still has Los Angeles in its grip, the county’s unemployment rate shot up to a modern record of 11.9 percent in July from a revised 11.2 percent in June thanks to steep cuts in public education payrolls. Executives at KFWB-AM have given pinks slips to 14 staff members as the CBS Corp.-owned radio station prepares to switch from an all-news format to a news talk one. In a sign that the recession still has Los Angeles in its grip, the county's unemployment rate shot up to a modern record of 11.9 percent in July from a revised 11.2 percent in June thanks to steep cuts in public education payrolls. The Los Angeles Business Journal's index of the 200 largest local public companies eked out only a slight gain for the week ended August 21. Georges Marciano said he has filed an appeal with the California Supreme Court of a lower court ruling ordering the Guess Inc. co-founder to pay damages to five former employees who said they were defamed and suffered emotional distress when he sued them for embezzlement. Northrop Grumman Corp. said it received an Army contract valued at $296 million to continue development of a system that provides ground intelligence to soldiers. In addition, a news report said the Los Angeles defense contractor is considering selling an unrelated business unit. Hot Topic Inc. said its second-quarter loss significantly widened as sales of its trendy teen clothing continued to drop due to the recession. In a burger battle royal, a rival to McDonald's Corp. had come out swinging, taking on the venerable Big Mac and talking smack about the Golden Arches' new Angus burger. A federal judge has ruled that Bank of America Corp. cannot have an investor lawsuit seeking to force it to buy back Countrywide Financial mortgages heard in federal court, saying he lacks jurisdiction to decide the case. A-list movie stars have long been measured by their ability to fill theaters on opening weekend. But never have so many failed to deliver, resulting in some rare soul-searching at movie studios about why the old formula isn't working. Coinstar Inc.'s Redbox Automated Retail said it filed suit against Burbank’s Warner Home Video in response the Time Warner Inc. unit’s decision to withhold its new DVDs from Redbox for four weeks. MySpace.com said it bought the popular music sharing Web site iLike Inc. The acquisition price was not released, but multiple industry blogs reported it was close to $20 million. The Los Angeles Area Chamber of Commerce has endorsed Los Angeles school board member Tamar Galatzan in the Los Angeles City Council district race to replace newly elected city Controller Wendy Greuel. Bankrupt commercial real estate company Meruelo Maddux Properties Inc. has reached a deal to retain its largest tenant, downtown clothing company American Apparel Inc.
Insurers, complaining of the paperwork, squelch a provision in a state Senate bill that would require them to send notices to injured workers to verify that services billed were actually performed. Coinstar Inc.'s Redbox Automated Retail said it filed suit against Burbank's Warner Home Video in response the Time Warner Inc. unit's decision to withhold its new DVDs from Redbox for four weeks. Fast food chain operator CKE Restaurants Inc. said that its same-store sales fell 3.6 percent for the four weeks ended Aug. 10 compared with a year ago. Revenue declined 3 percent to $86.1 million. Southern California Edison announced an agreement with First Solar Inc. to build two photovoltaic solar power projects in the Inland Empire, each with a capacity of 550 megawatts. Los Angeles County supervisors have voted unanimously to ask the University of California to enter into a partnership to reopen inpatient services at Martin Luther King Jr. Hospital by 2012. Rentech Inc. said it signed a multiyear contract to supply its renewable synthetic diesel for ground service equipment at Los Angeles International Airport. Metro-Goldwyn-Mayer Inc., which is struggling with a roughly $3.7 billion debt load, said it has replaced chief executive Harry Sloan with a team of senior executives and a well-known restructuring adviser. The latest incarnation of DreamWorks has launched as principal partners Steven Spielberg and Stacey Snider and India's Reliance Big Pictures announced completion of the first phase of funding for DreamWorks 3.0. Smart card developer Innovative Card Technologies Inc. said its second quarter loss grew 63 percent despite higher revenue and lower operating expenses. Shares of Public Storage Inc. fell Monday after an analyst downgraded the stock, noting the self storage industry’s performance will lag the economic recovery. RETAIL: MGA hopes new dolls have similar shelf life. Do MGA’s new Moxie Girlz dolls look like the Bratz dolls just lost to rival Mattel? His experience as a bus driver helps MTA Chief Executive Art Leahy get a line on the job. Sewage issues are backing up in Malibu as the regional water board moves to ban septic tanks in the city. Greenberg Glusker, a Century City law firm specializing in real estate and entertainment law, has named Bob Baradaran chairman of the firm's real estate group. Previously, Baradaran was a partner in the group. The Orange County Register has hired a new paperboy: the Los Angeles Times. Shares of Public Storage Inc. fell Monday after an analyst downgraded the stock, noting the self storage industry's performance will lag the economic recovery. Hofite Huddleston said she learned the power of media, marketing and events at an early age. Cutting basic city services will only make L.A. more business unfriendly, warns Harold L. Katz. Instead of sending her kids to camp this summer, downtown L.A. attorney Nancy Smith sent herself to fiddle camp. Who says companies can't raise any money these days? Listings and sales of L.A.'s elite executive homes. Homeboy Industries is hitting the streets to find funding for its gang-intervention program. Internet Holds Silver Lining for L.A.
Jeffrey F. Rayport has sky-high hopes for the future of L.A.'s information technology services. The Workers' Compensation Insurance Rating Bureau, an industry actuarial body, is recommending that workers' compensation insurance rates in California increase 23 percent next year. Container traffic may be down, but that's not holding back American President Lines Ltd. from expanding its presence at the Port of Los Angeles. Marketing consultant Harry Dubin used retail-style price slashing to sell condos in Koreatown. The Port of L.A. is pushing to revise a federal act so as to help unions organize there. The L.A. Dodgers' new truck provides fans with curbside ticket service. Nevada fails to charm Charles Crumpley as a place to set up business. Holly Schroeder believes local authorities are better positioned to deal with emission issues. The creative duo behind popular online videos has branched out into Internet software. Soccer fans who want to watch the biggest European tournament of the year will be tuning in to Fox Soccer Channel this week. As a Navy officer, Thomas O'Brien spent much of his career flying F-14 Tomcats. In the U.S. Attorney's Office, he indicted high-profile criminals and supervised their prosecution. New Age for Medical Treatment? A Beverly Hills doctor to the stars has opened a clinic to push nontraditional treatments. A federal district court judge on Monday delayed ruling whether the former longtime tax attorney of Haim Saban will be released on bail. A Venice commercial-making company rolls with Hollywood directors. SHIPPING: Facility hires Gephardt to revise federal law. Lingerie maker Frederick's of Hollywood plans to launch a toned-down line of women's wear for mass retailers. Do MGA's new Moxie Girlz dolls look like the Bratz dolls just lost to rival Mattel? Lobbyists feel they're being singled out by a proposed Beverly Hills ID program. The busiest U.S. seaport complex won't fully recover from the economic downturn until 2013, a new report says. Imports at both facilities fell in July from a year earlier. A new Koreatown mall was built with an eye toward South Korean design details. Video Game Developer's Price Hike Pounded in U.K.
U.K. gamers are blasting Activision's price increase for its upcoming war title. The warehouse event, which was held for the last 14 years in a hangar at the Santa Monica Airport, moves to downtown Los Angeles. Dole Food Co., which majority owner David Murdock took private several years ago, said Friday that it is planning an initial public offering that could raise as much as $500 million. A Malibu man accused of trying to avoid paying taxes has agreed to plead guilty to failing to report more than $1 million he transferred to a Swiss bank account, according to court documents. Ticketmaster Entertainment Inc.'s second-quarter profit plunged 70 percent, hurt by lower ticketing revenue particularly in its concert business. The Los Angeles Business Journal's index of the 200 largest local public companies closed flat for the week ended Aug. 14 as gains in industrial stocks offset losses in the finance and consumer sectors. American Apparel Inc.'s second-quarter profit dropped 34 percent as the tough economy hurt sales, but the earnings surpassed Wall Street expectations. Tribune Co. creditors are moving to force out billionaire Sam Zell as chairman of the troubled Chicago media company that owns the Los Angeles Times and KTLA Channel 5, according to a media report. After a decade of watching film production slowly abandon Hollywood, lured away by financial incentives first in Canada, then other U.S. states, California hopes to woo the movies back home. A week before shareholders decide whether to take the company private, Tarrant Apparel Group said it had eked out a small profit in its second quarter as the recession continues to batter the retail sector. A federal health panel said a highly anticipated bone drug from Amgen Inc. benefits patients with osteoporosis, but should not be used to prevent the disease because of long-term safety questions. Managed care giant Kaiser Permanente, said it would eliminate more than 1,800 positions statewide as it struggles with drooping membership, uncertain healthcare reform and shriveling Medicare reimbursement rates. Workers' compensation insurance rates in California should increase 23 percent next year, according to recommendation from the governing board of the Workers' Compensation Insurance Rating Bureau, an industry actuarial body. The top six stations in Los Angeles remained relatively unchanged in the July radio ratings, released Wednesday by tracking firm Arbitron Inc. In the business world there's secretive and then there's Philip Anschutz. Lately Anschutz, whose properties include Los Angeles' AEG Inc., has been heavily invested in rehabbing the distressed career of Michael Jackson , even after the singer's death. Arrowhead Research Corp. said it received notification that the company has regained the minimum stockholders' equity requirement to remain listed on the Nasdaq Capital Market. Former Los Angeles City Attorney Rocky Delgadillo announced Wednesday that he is joining Goodwin Procter LLP as counsel. Platinum Equity-owned San Diego Union Tribune announced a series of changes that include eliminating jobs, ramping up a new advertising program and streamlining its printing process to save money. Image Entertainment Inc. and Lions Gate Entertainment Corp. have signed separate distribution deals to make their entertainment content available on nontraditional platforms. SouthWest Water Co. said it will separate the role of chairman and chief executive, and adopt other corporate governance changes at a shareholders meeting next month. Arden Group Inc., owner of the Gelsons Markets chain, said Wednesday that its second-quarter earnings fell 29 percent due to lower same-store sales. A Beverly Hills real estate agent to the stars and an appraiser were convicte on federal charges of conspiracy and bank fraud for their roles in a multimillion-dollar Westside real estate fraud ring. The Autry Museum of Western Heritage has withdrawn its $175 million expansion plans, according to news reports. Lions Gate Entertainment Corp. reported a strong jump in its fiscal first quarter profit boosted by strong revenues at its Mandate Pictures unit and the addition of its new TV Guide properties. PS Business Parks Inc. said that it expects to net more than $133 million from an offering of 3 million shares of common stock. DTS Inc. reported a 157 percent higher second quarter profit thanks to sales of its sound enhancement technology for Blu-ray media products. The company also raised its full-year outlook, but shares fell Tuesday on an analyst's downgrade. The San Fernando Valley's adult entertainment business has weathered several recessions since it took off with the advent of home video in the 1980s. The industry now is dealing with more than just a weakened economy. Almost six years after shutting down his business, Bill Magarity can wait a few more months to get a final check for $5.6 million. Licensed operators are looking to put the brakes on "bandit" cabbies. Maguire Properties Inc. reported a wider second quarter loss and intends to default on loans for seven office properties in Los Angeles and Orange counties, either selling the properties or letting the banks take them over. Despite the region's trained work force, employers with extensive call center operations have increasingly fled for the South and Midwest where business costs are lower. Real estate investment company Decron Properties Corp. has completed a $10 million renovation adapting Victory-Tampa Medical Square, at 19231 Victory Blvd. in Reseda, into a medical-retail complex. Visitors to the Standard hotel are diving into swimsuits dispensed from a vending machine. Angelenos foot the bill for the labor-beholden City Council's grocery worker retention measure, writes Charles Crumpley. For Caroline Nahas, helping others is something that was "instilled in me from the beginning." Sole sisters say philanthropy has boosted their shoe company's sales. Internet CEO Jason McCabe Calacanis began his sales career with duplicated VHS tapes of "The Empire Strikes Back." A local TV station has turned down ads from Las Vegas encouraging L.A. businesses to relocate. MannKind Corp. said it had netting $59.7 million from a secondary offering of almost 8.4 million shares of common stock. Workers' comp rates could climb for some firms if California sells off parts of the State Compensation Insurance Fund. A local college student has made a name for herself with a Cheesecake Factory contest-winning dessert. The future of a planned $220 million battery manufacturing plant in Palmdale has been thrown into doubt after the federal government last week rejected funding for the project. LACMA is suing a bond insurer that lost its AAA rating and drove up the institution's interest rates. Greg Jones warns that the achievement gap among minority students in public schools undermines the economy. Sales dipped in July after a busy June as the pool of low-priced properties dried up. A new business coalition formed last week to fight an impending California Energy Commission regulation restricting the sale of big-screen TVs. Funding for alternative energy companies has fallen along with the prices for oil and natural gas. Lions Gate Signs Deal With Jim Henson Co.
Lions Gate Entertainment Corp. and the Jim Henson Co. said they signed a distribution deal for more than 350 hours of content, including family classics "Fraggle Rock: The Complete Final Season." Rentech Inc. shares soared after the synthetic fuels developer reported its first-ever profitable quarter, with earnings far exceeding Wall Street expectations. News station KFWB AM (980) is changing formats again. The CBS Corp.-owned station will flip from an all news format to a news talk one on Sept. 8. Warner Bros. Home Entertainment Group has promoted Jeff Junge to senior vice president of business management. The recession has left a downtown L.A. marketing showroom with lots of room to show prospective tenants. Ted Lux thinks local cities need to get in gear and add more bike paths. The Los Angeles City Council approved a $30 million loan to L.A. developer CIM Group to partially fund renovation of the Kodak Theatre in Hollywood for a 10-year Cirque du Soleil show due to open in summer 2011. Some local eateries hope discount sack lunches are a handy solution to boost business. At a recent tech conference in Los Angeles, organizers scheduled a panel discussion on the advantages the L.A. tech community has over Silicon Valley. The entertainment industry blogger's popularity and power grow as he adds a music imprint and another website, but is the empire sustainable? EpixHD.com is a dash of Hulu and a sprinkle of YouTube, features a crystal clear picture, can rewind or fast-forward at lightning speed, and doesn't require a download of any special software. But what about its content? The Senate Select Committee on Ethics has cleared two senior Democrats of receiving improper discounts on mortgages from the former Countrywide Financial. Eli Broad's effort to build a new museum on the corner of Wilshire and Santa Monica boulevards in Beverly Hills is looking all but dead, according to a news report. The Los Angeles City Council passed an emergency ordinance Friday banning new digital billboards, supergraphics and other outdoor advertising signs from most areas of the city. Storage facility landlord Public Storage said that despite a revenue decline, it saw higher second quarter net income. Funds from operations increased due to lower expenses and foreign currency exchange gains. The Los Angeles Business Journal's index of the 200 largest local public companies closed up for the week ended Aug. 7 as the overall markets responded positively to promising economic reports. Former employees of Aurora Las Encinas Hospital, a private psychiatric facility in Pasadena, filed a class-action lawsuit against the owner alleging that chronic understaffing has compromised patient care. Platinum Equity, which recently purchased the San Diego Union-Tribune, has made a more than $35 million offer to acquire the Boston Globe, according a Globe report. Southern California Edison parent Edison International said that charges related to a tax settlement created a net loss in its second quarter. Superior Industries International Inc. reported a wider-than-expected second quarter loss, hurt by lower prices and reduced shipments of its aluminum automobile wheels. United Online Inc. shares fell 16 percent Thursday, a day after the Internet services company reported higher second quarter profit but forecast third-quarter revenues lower than Wall Street expected. Live Nation Inc. said that its net loss grew larger in the second quarter, due both to lower concert revenue and higher costs related to its pending merger with TicketMaster Entertainment Inc.
California Pizza Kitchen Inc. reported only slightly lower second quarter earnings, as the casual dining chain continued to cut costs in addition to launching promotions aimed at recession-weary customers. Northrop Grumman Corp and Lockheed Martin Corp said they would seek to unseat Boeing Co from running the core U.S. missile defense system, a potential $200 million a year deal. Dr. Tattoff, which has three Southern California locations, says it's seeing record high volume and revenue. An investment expert says the company should get bigger before issuing stock to the public. DirectTV Group Inc. said that its second quarter earnings fell 11 percent due to debt costs, but revenue was up because of satellite TV subscriber growth. K-Swiss Inc. reported a wider-than-expected quarterly loss, as the athletic and casual shoemaker saw its overseas revenue fall by half. The company narrowed its outlook for the full year. True Religion Apparel Inc. said its second quarter earnings rose 18 percent as the Vernon apparel maker expanded distribution of its premium denim and made efforts to solidify its brand amid the recession. Despite a sluggishness video game market, Activision Blizzard Inc.'s second-quarter net income slightly surpassed analyst expectations, helped by its "World of Warcraft" franchise and the new "Prototype". Columbia Pictures and concert promoter AEG Live have struck a deal to make a Michael Jackson movie using video of his "This Is It" concert rehearsals taken days before the King of Pop died in June, according to court documents. Real estate investment trust HCP Inc. said that it has priced an offering of 15.5 million new shares at $24.75 each, which is expected to produce net proceeds of $384 million. William J. Bratton abruptly announced his plan to resign as chief of the Los Angeles Police Department to take over as head of a private security firm. ValueClick Inc. reported better-than-expected second quarter earnings and revenue. But shares fell 15 percent Wednesday morning on the online advertising company's poor outlook and an analyst's downgrade. The Los Angeles operator of the World Poker Tour announced Tuesday that it is selling essentially all of its assets to private equity group Gamynia Ltd., which will move the company into online gaming. Anti-inflammatory drugs that includes Amgen Inc.'s Enbrel must start carrying stronger warnings about the increased risk of sometimes fatal cancer in children and adolescents, the U.S. Food and Drug Administration said. The Los Angeles City Council approved a $30 million loan Tuesday to partially fund renovation of the Kodak Theatre in Hollywood for a 10-year Cirque du Soleil show. The renovation will include an updating of all 91 rooms, and the construction of a vast new spa and 12 new villas on the property. Health Net Inc. said Tuesday its second quarter profits were nearly cut in half as it took a one-time $17.6 million charge related to the sale of its Northeast U.S. health plans. Herbalife Ltd. said its second quarter net income fell 28 percent due to slower sales of its nutritional supplements, higher taxes and unfavorable currency fluctuations. L.A.'s tech community has taken root and blossomed, leading Silicon Valley in total jobs. Although he has been covering the TV industry for almost two decades, television wasn't always in journalist Josef Adalian's big picture. More than half the cargo passing through the ports of Los Angeles and Long Beach is moving on less polluting "clean trucks," according to port data released last week. Occidental Petroleum Corp., an oil company headquartered in Westwood, has named Carlos M. Gutierrez to its board. Shuttering shops have taken some shine off Glendale mall Americana at Brand. Private social clubs have turned to a variety of promotions to boost and retain membership. After more than a year of inactivity, the IPO market in Los Angeles has finally shown signs of life. Santa Monica-based Wi-Fi services provider Boingo Wireless Inc., has renewed its Platform Services agreement with Verizon Communications Inc., extending the deal for an additional four years. Area banks are capitalizing on a growing interest in their common stock offerings. Charles Crumpley salutes local businesses that manage to keep things interesting. Photographer scores a hit with shot of Lakers guard in Dodgers ad campaign. A ruling by the group that controls international swimming competition will force Speedo USA to change plans for some technical innovations, but it won't stop the L.A. company's Aqualab from building faster swimsuits. The historic Cal Neva Resort hotel and casino in Lake Tahoe, until recently owned by bankrupt businessman Ezri Namvar, has been put up for sale by its new Century City owner. Some local cities have switched into high gear with programs to keep car dealerships open. A downturn in Hollywood production has spurred embroidery business Sichel to target new customers. Ex-athletes launch a networking group to help other former jocks fit in the business world. The USC Gould School of Law has snagged John Schulman, former Warner Bros. Entertainment Inc. general counsel, to head its new entertainment law program. Outside investors have come through to get local startups off the ground. Hospitality workers need to be paid for their contribution to L.A.'s tourism industry, writes Peter Dreier. MannKind Corp. reported a smaller second quarter loss as the company awaits U.S. Food and Drug Administration approval of its first product, an inhaled insulin device. Dr. Benjamin Chu's history as a patient influences his decisions as a hospital administrator. Mayor Antonio Villaraigosa's call to trim L.A.'s business tax rates is greeted with applause. Mercury General Corp. said its second quarter earnings jumped 62 percent, aided by investment gains and lower claims. The host of a show on minority entrepreneurs will channel lessons learned into the new Making It Institute. Daniel J.B. Mitchell says the students he encounters at UCLA are anxious to improve California. Newhall Ranch developer LandSource Communities Development LLC said that it has emerged from Chapter 11 reorganization as Newhall Land Development LLC. Lexington Commercial Holdings, the investment company of former billionaire Louis Gonda, has sold off its second property in recent months. Ducommun Inc reported lower-than-expected second quarterly results, hurt by higher interest expenses and lower sales to its military and commercial aerospace customers. Stella Debibi, whose new Century City company, Debibi Strategic Partners, focuses on business development and marketing, has a background in creating synergies that will come in handy at her new firm. A local couple funnels entrepreneurial passion into new products pitched on the Internet. Jeff Gaspin, the new chairman of NBC Universal Television Entertainment started out tracking local ads for the network's stations in 1984. He's held plenty of supporting roles along the way. Cheaper startup costs and a focus on content creation have boosted L.A.'s technology industry. State budget cuts could undermine a plan to develop a mixed-use project in Koreatown. Platinum Equity LLC lost in its bid to acquire bankrupt auto parts supplier Delphi Corp., which instead will go to a creditors group. Great American Group Inc. said that its acquisition by a special-purpose acquisition company had closed, which will enable the Woodland Hills liquidation firm to be publically traded. Would-be buyers race into Los Angeles auto dealers as reports surfaced that the federal rebate program was running out of money. Grueling conditions are largely the rule for reality shows like "Project Runway" and "Hell's Kitchen." With no union representation, participants on reality series are not covered by Hollywood workplace rules.